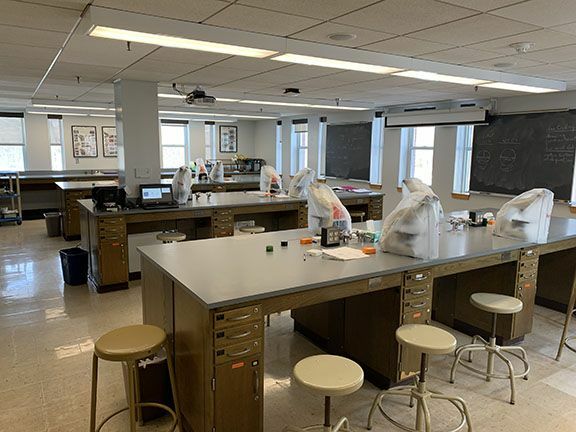 The Barbara E. Chick MD ’50 introductory biology teaching lab (room 430) and lab room 444 are located on the fourth floor of Carnegie Science Building. 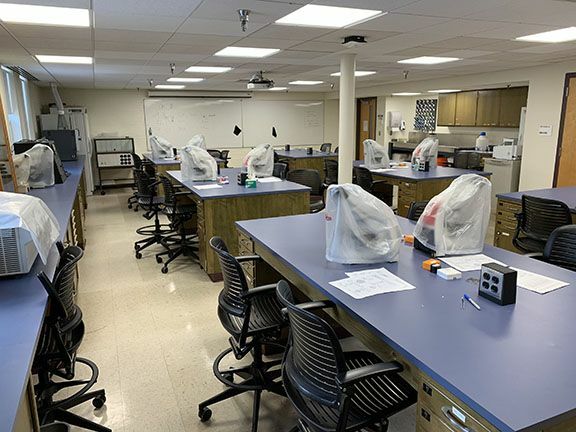 Each lab is equipped with wireless laptop computers, compound and dissection microscopes, and computer video projection. Room 430 also has air and vacuum, and a hood. These labs are used primarily by Bio 190 and a variety of 100 and 200-level courses.